The hallowed turf at Twickenham has been transformed into its original state – a cabbage patch. 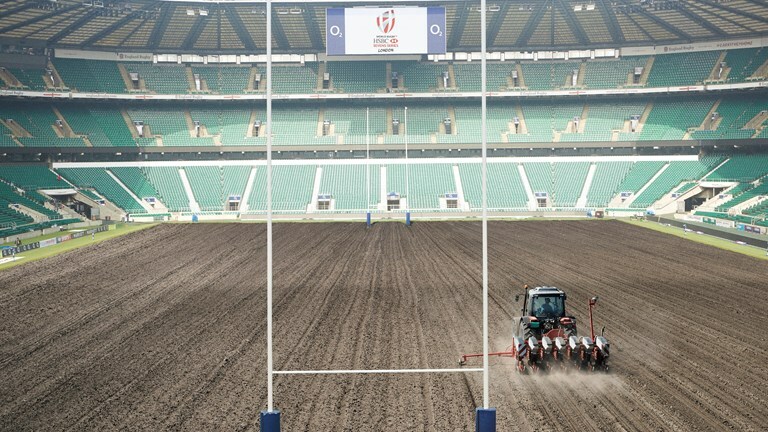 In advance of the HSBC World Rugby Sevens Series in June– which will see a festival of rugby and food transform Twickenham – event organisers have gone back to the roots of the world famous stadium and prepped the ground ready to plant cabbages. The reconstruction was proposed to celebrate the new-look series’ climax, HSBC London Sevens ‘Feast of Rugby’. “We are absolutely delighted to honour the ground’s triumphant parentage,” said head groundsman Keith Kent. Kent and his team have been hard at work ploughing the pitch but new turf will be laid before the tournament finale in May. Transfer Rumours: Semesa Rokoduguni heading north?